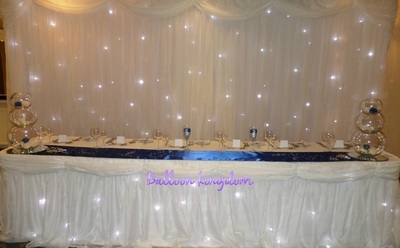 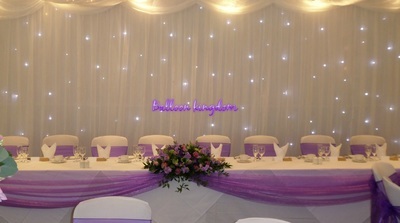 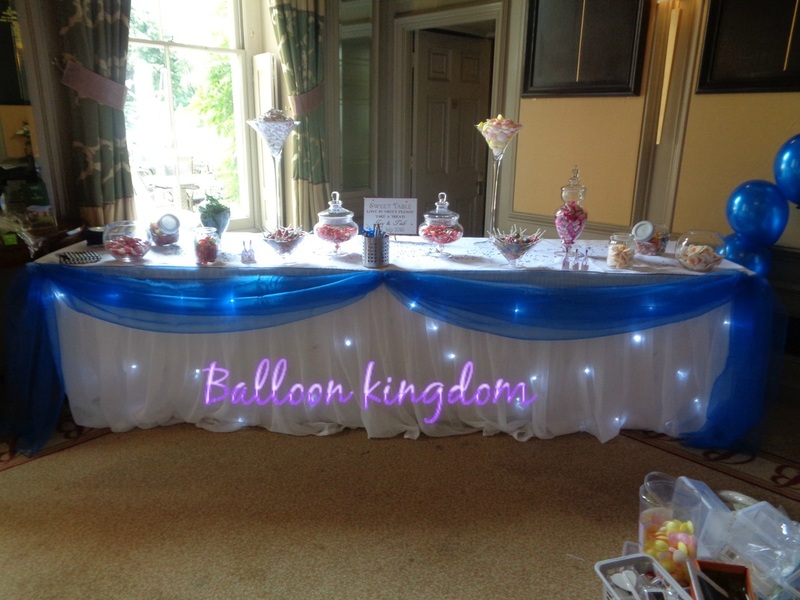 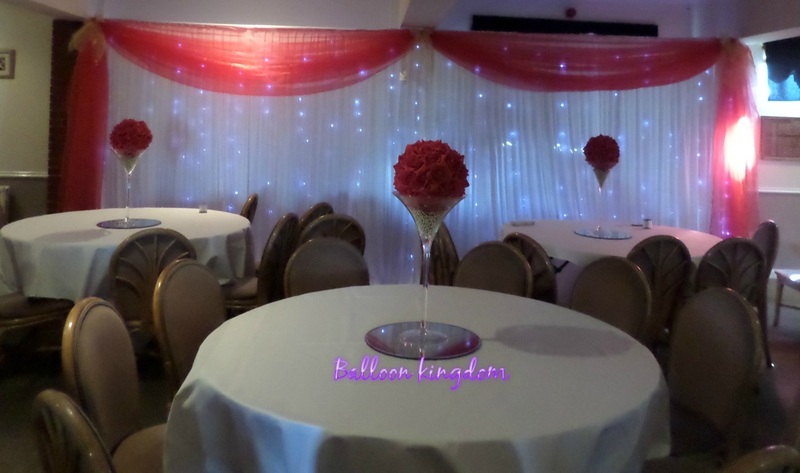 LUXURY STARCLOTH BACK DROP AND TABLE SKIRT HIRE. 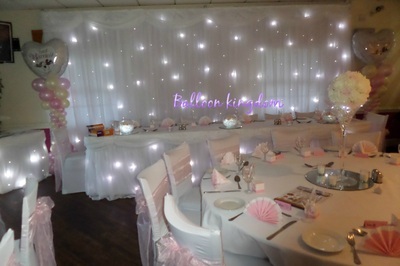 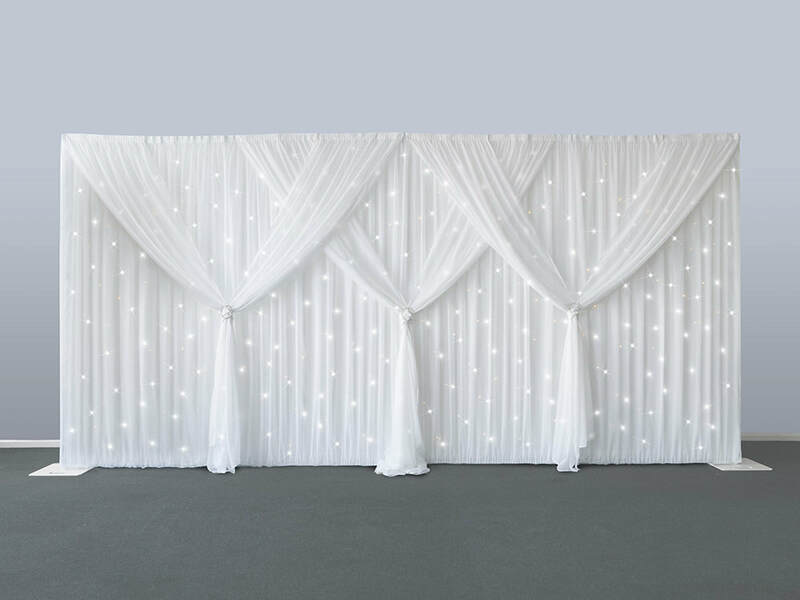 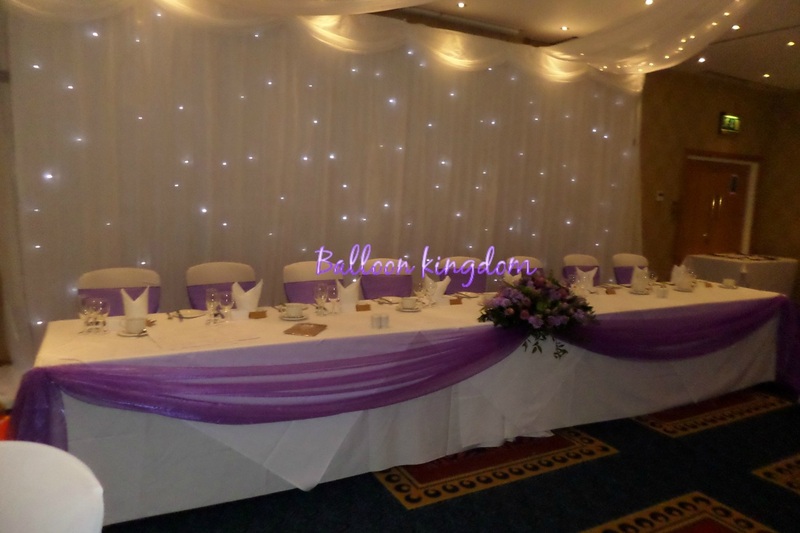 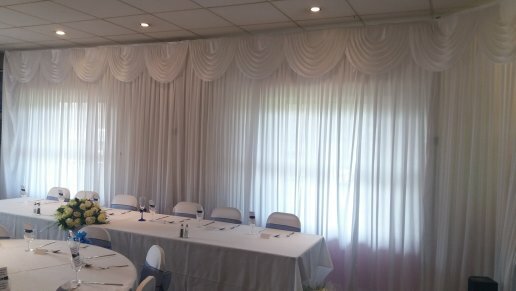 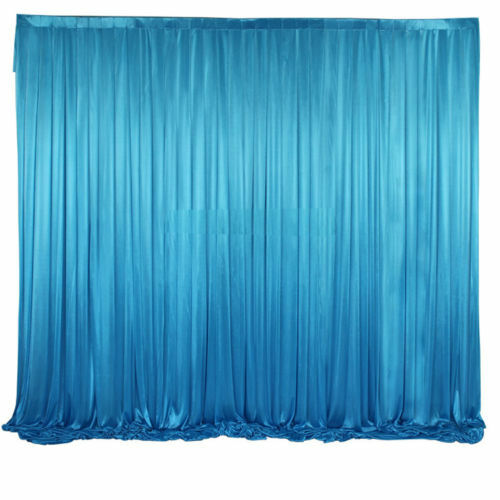 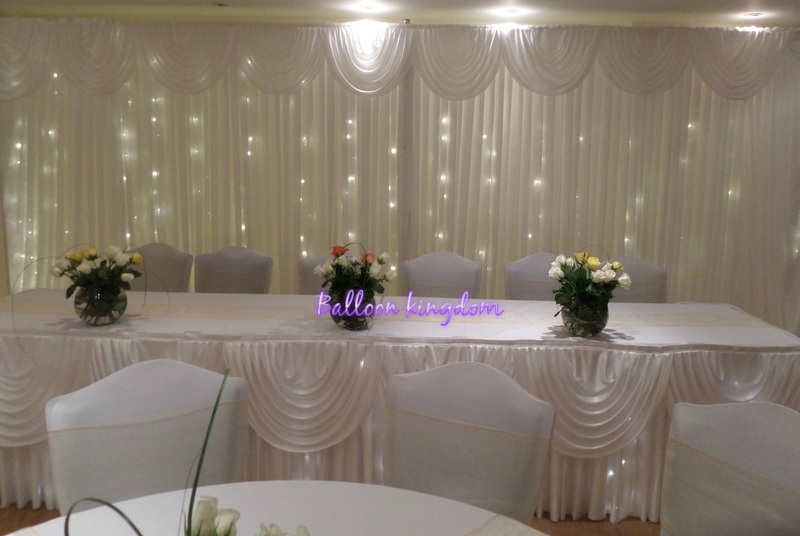 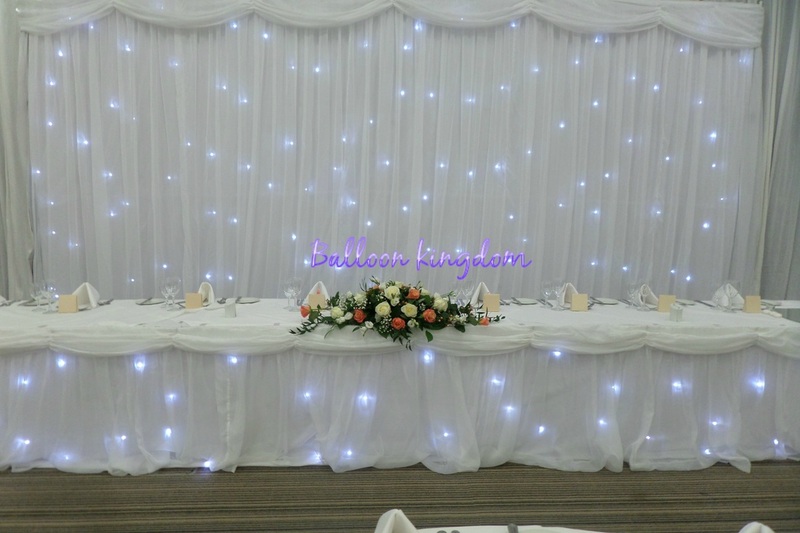 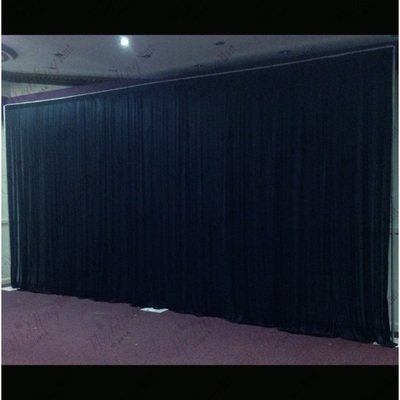 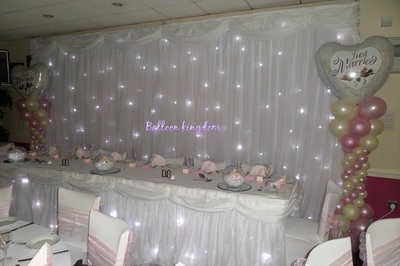 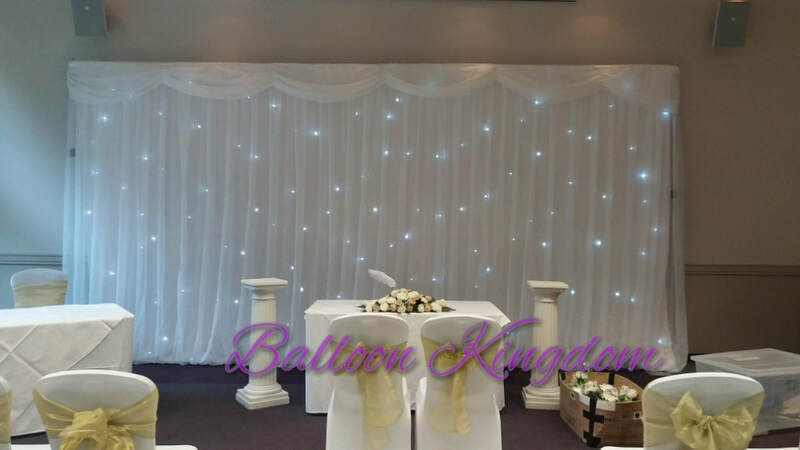 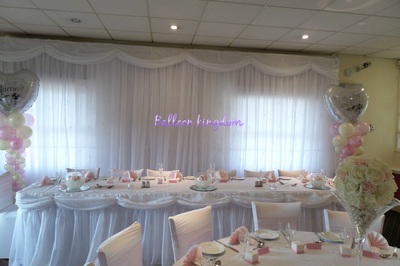 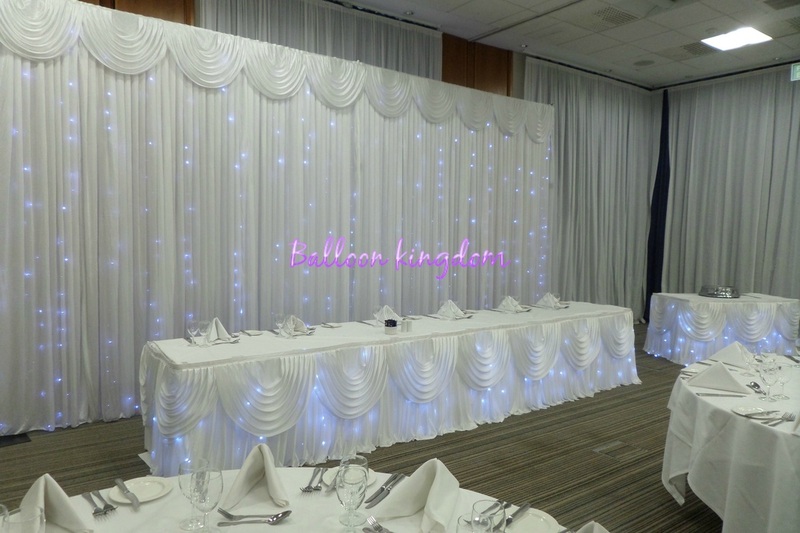 ​Starlight back drop to transforms any unsightly venue wall or window into a stunning fairy tale display. 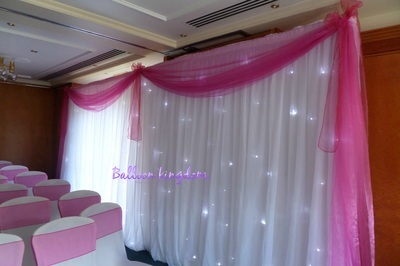 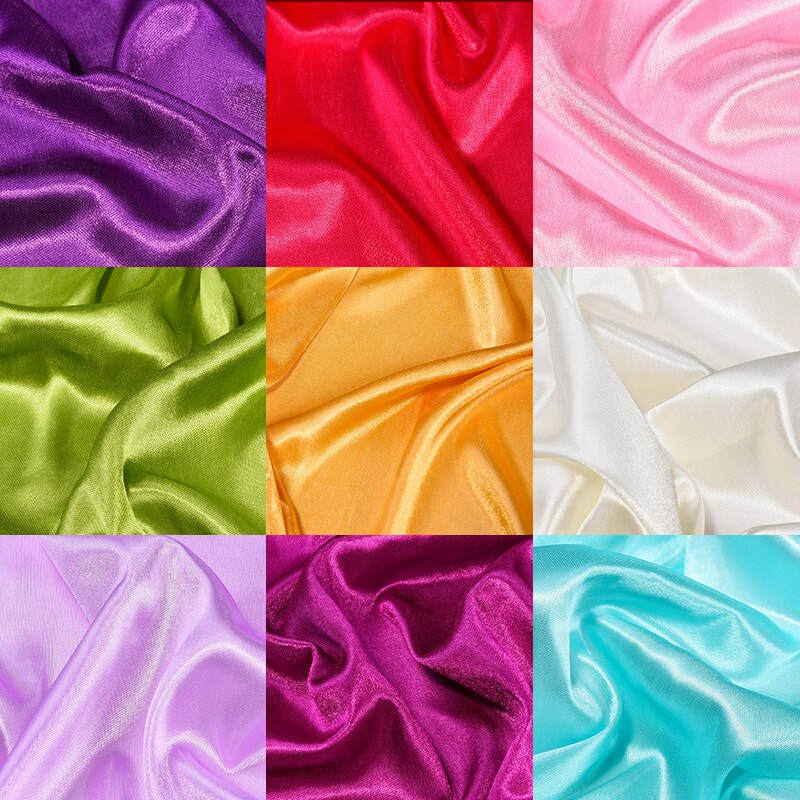 The swags are detachable and can be changed to a coloured organza swag to match your colour scheme. 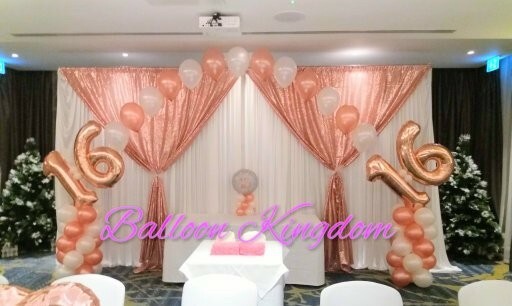 For more details and a quote email: balloonkingdom.info@yahoo.co.uk or fill in the form below. Maximum width and height 6M x 3M. 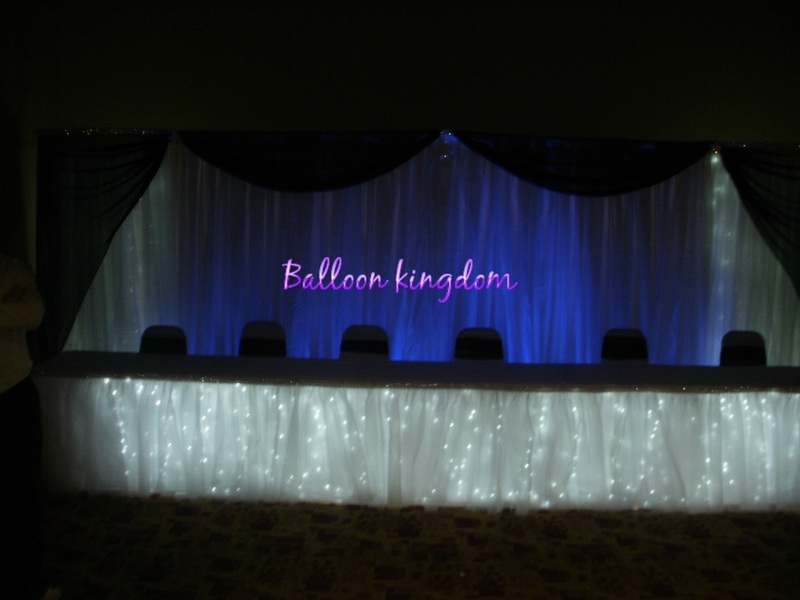 ​specialising in bespoke Backdrops that will create the perfect focal point to your Wedding or Event. 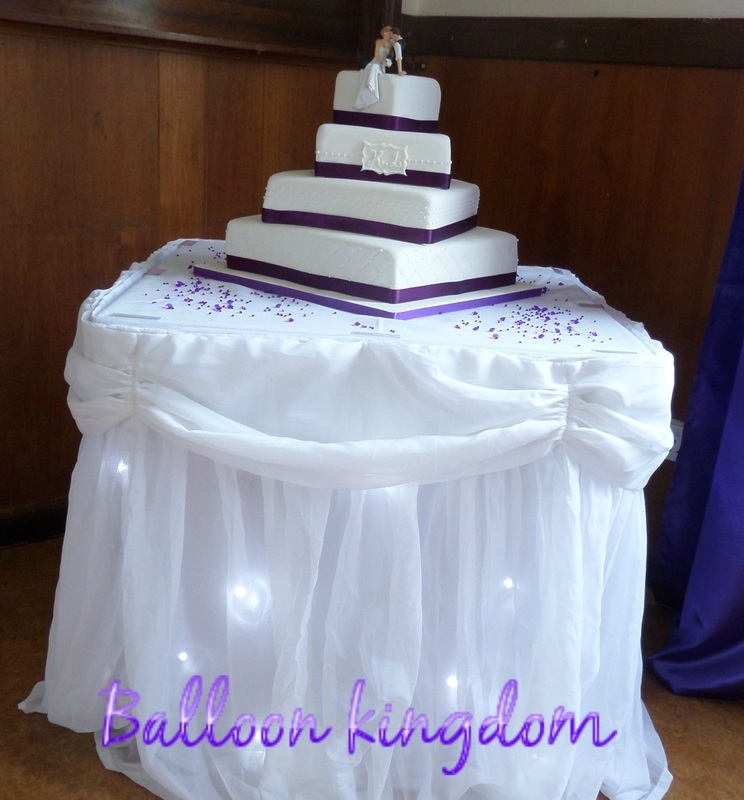 Complete your fairy tale theme with this stunning skirt and swags, The swag is detachable and can be changed to a coloured organza swag to match your colour scheme. 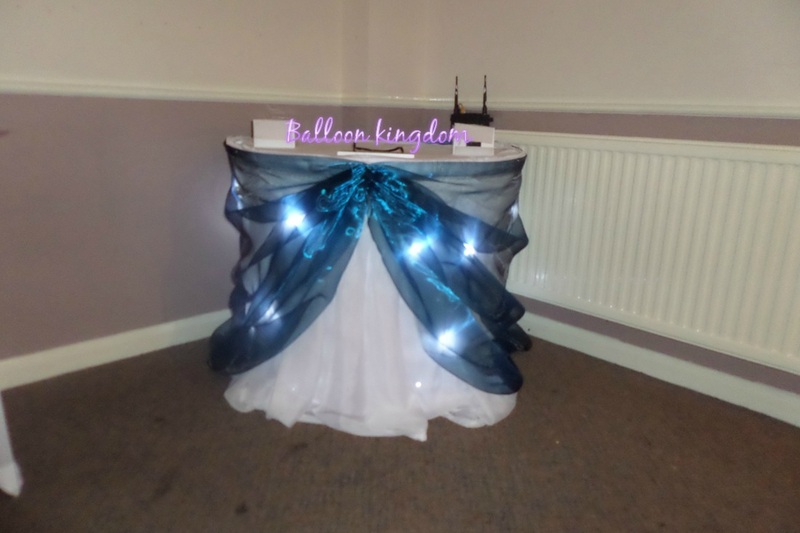 Starlight top table skirt with organza swag. 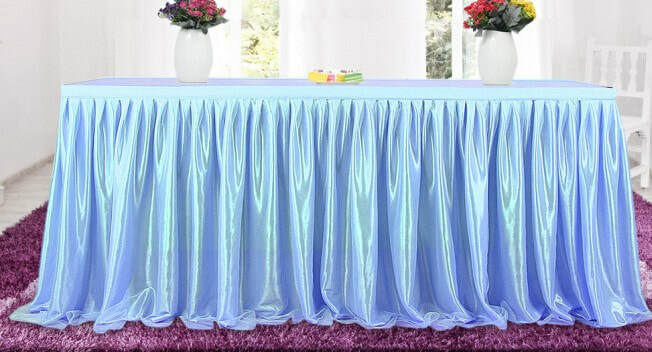 Luxury Star cloth cake table skirt with voile overlay and detachable swag. 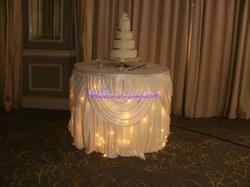 STARLIGHT CAKE TABLE SKIRT WITH ORGANZA SWAG.. 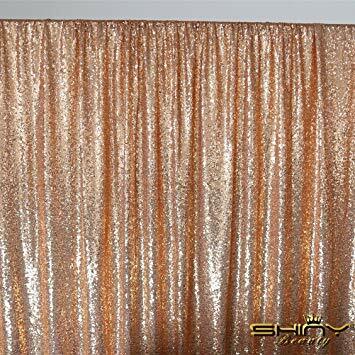 Silk Starlight backdrop. 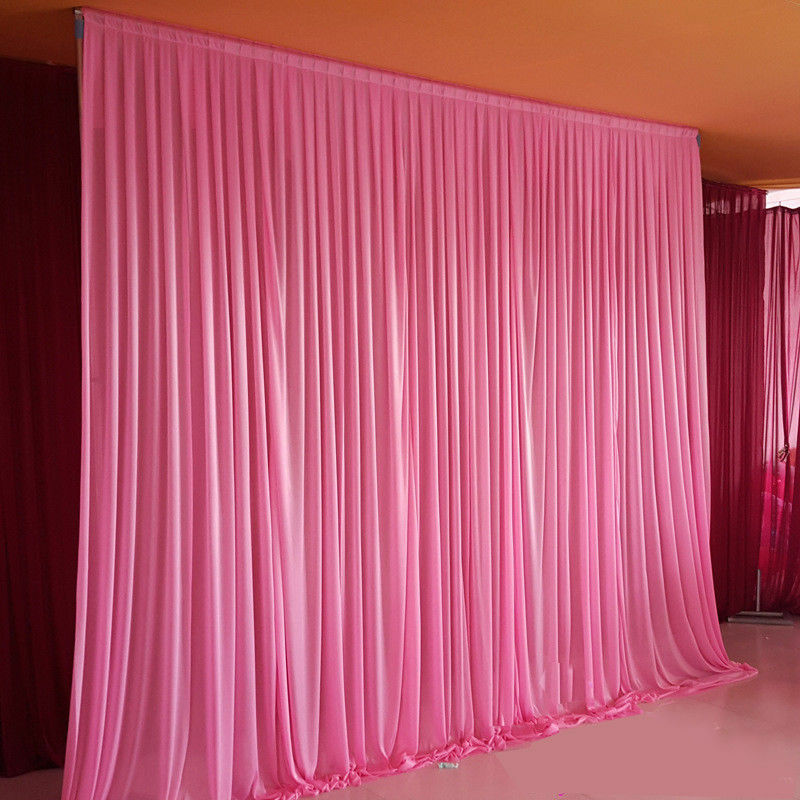 Standard size 3mx6m with detachable swag. 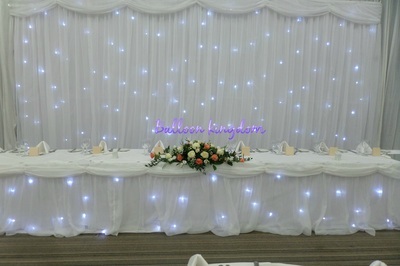 (fits behind top table for up to 9 persons). 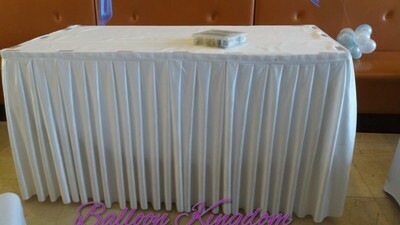 Other sizes available: 3mx3m ( cake or ceremony table size). 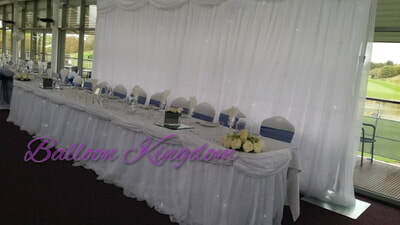 3mx9m (larger top table size). The swag is detachable and can be changed to a coloured organza swag to match your colour scheme. Silk starlight back drop with coloured organza swag. 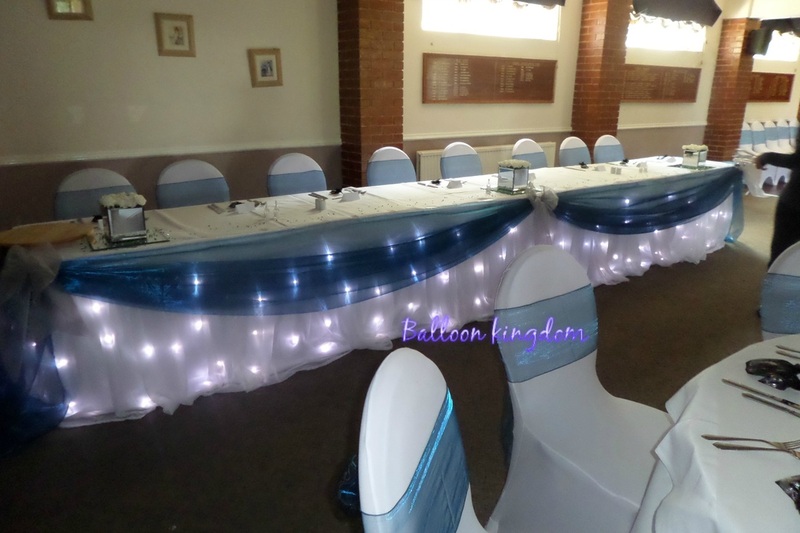 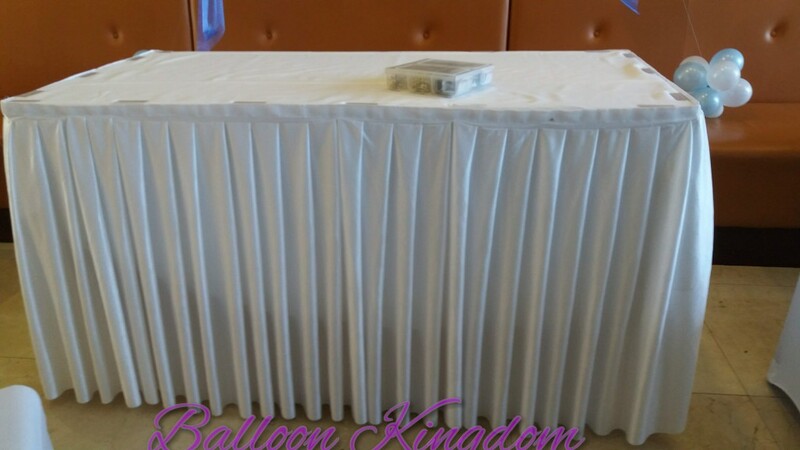 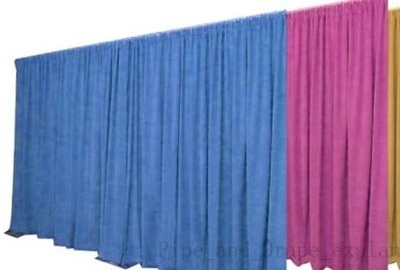 6M/20 ft Starlight top table skirt with detachable swags (fits tables up to 10 persons) . 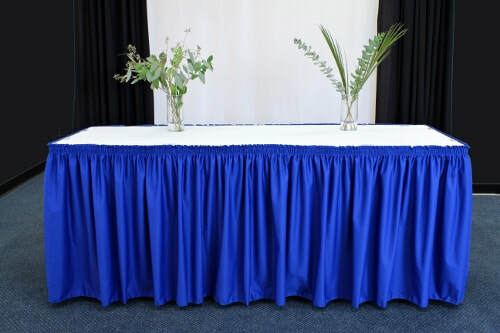 Contact us for tables seating more than 10 persons or larger than 3 trestle tables. Complete your fairy tale theme with this stunning skirt and swags. 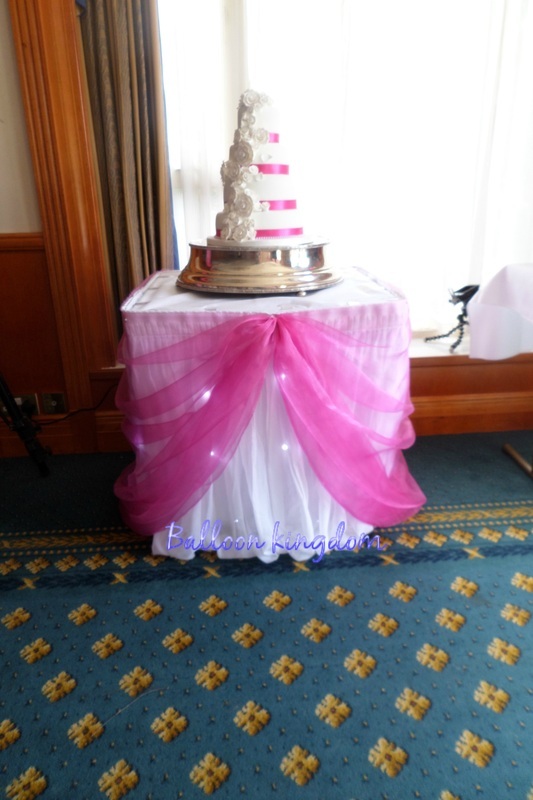 The swag is detachable and can be changed to a coloured organza swag to match your colour scheme. 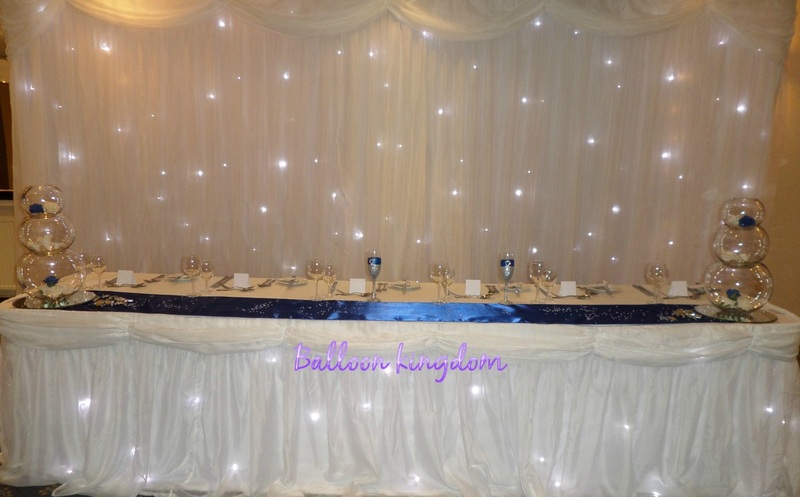 10ft Starlight cake/gift table skirt with detachable swags. 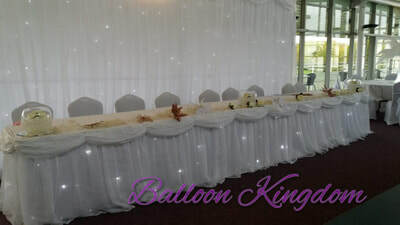 6m top table skirt with swag (no lights). 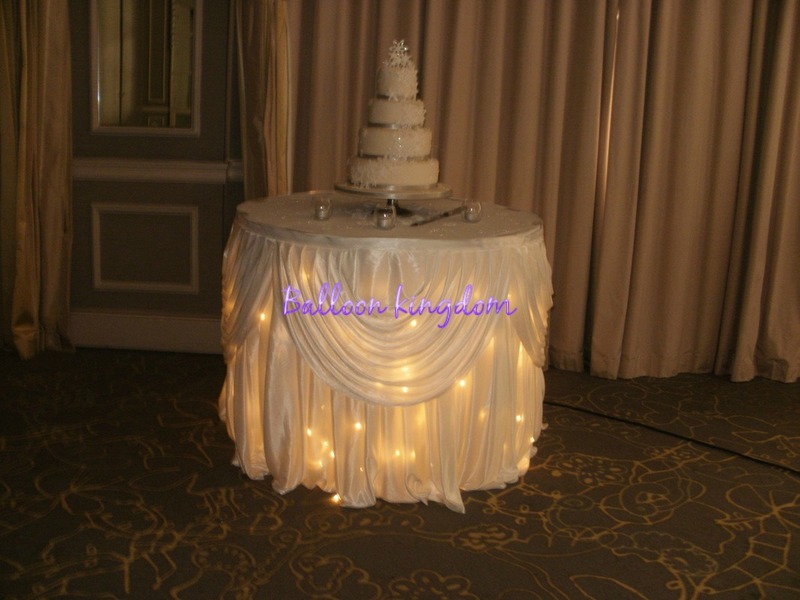 3m cake table skirt (no lights). The swag is detachable and can be changed to a coloured organza swag to match your colour scheme for an extra. 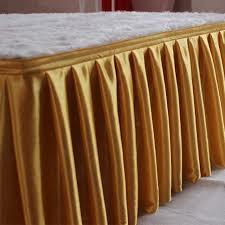 Plain table skirts (swags can be added). 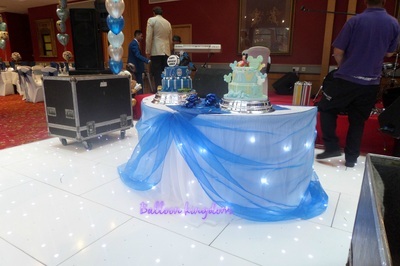 3M Cake table skirt available in white, pink, light blue, royal blue gold. 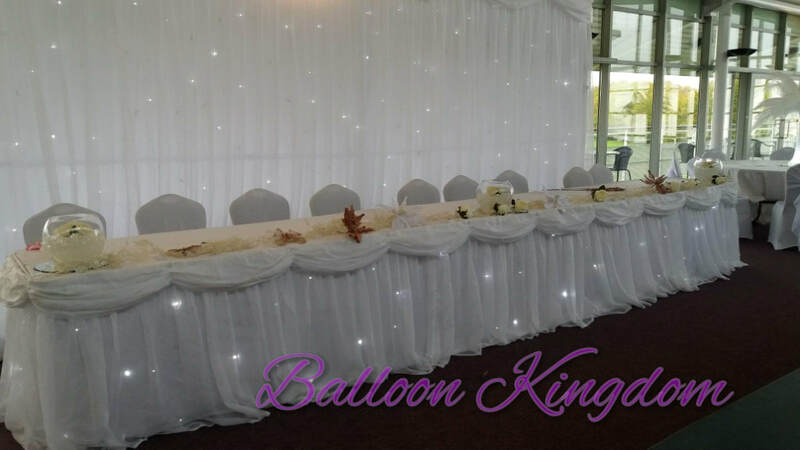 All hire items require a refundable damages deposit which is refunded when the items are returned in an acceptable condition. 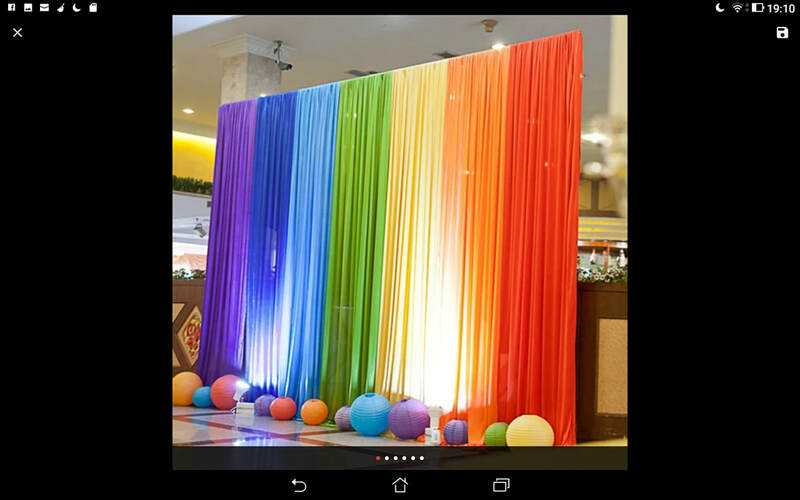 Please fill in the form and include event date and venue address, thank you. 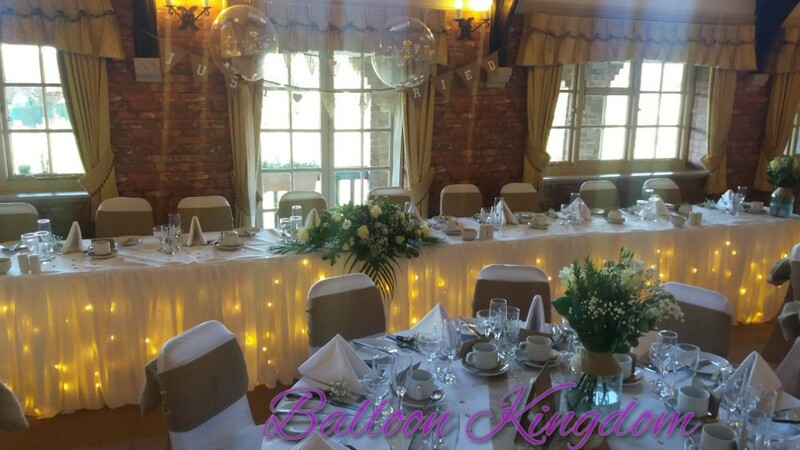 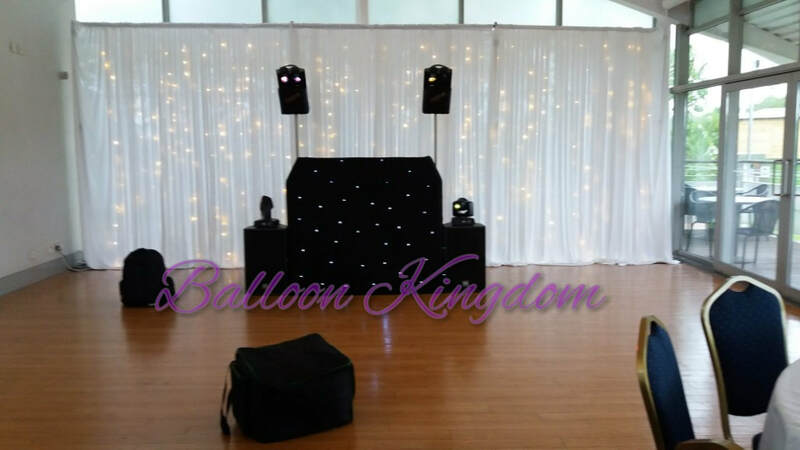 Wedding and party back drop hire in UXBRIDGE, HILLINGDON, HAYES, WEST DRAYTON, IVER, SLOUGH, LANGLEY, DATCHET, DENHAM, WINDSOR, HOUNSLOW, FELTHAM, SOUTHALL, EALING, HEATHROW, RUISLIP, STAINES, EGHAM, VIRGINIA WATER, ASCOT, STANWELL, WRAYSBURY, STOKE POGES, STANWELL, SOUTHALL, BURNHAM, WEXHAM, CHERTSEY, ADDLESTONE, ASCOT, HANWELL, YEADING, NORTHOLT, MAIDENHEAD, MIDDLESEX, EAST BERKSHIRE, BUCKINGHAMSHIRE, GREATER LONDON WEST and surrounding areas.